Fredericksburg has been on my radar for quite some time and with a curiosity gnawing at me, I put a trip to this quaint Hill Country town high on my must see list before bidding Texas farewell. Fredericksburg is a small town in the heart of the Texas Hill Country with a population just under 11,000 and sporting a strong German heritage. The native German language, which was brought to the Texas Hill Country in the mid 1800’s, can still be heard and seen around town to this day. As Al and I explore Fredericksburg, we notice how unusually wide the roads are including Main Street and many side streets. From an RVer’s point of view this is pretty awesome as there’s no such thing as too much room or a road that’s too wide. Turns out, the streets were designed to be wide enough to accommodate oxen carts that needed to be turned around. So looks like there’s plenty of room for oxen or F250’s to haul their carts around town. 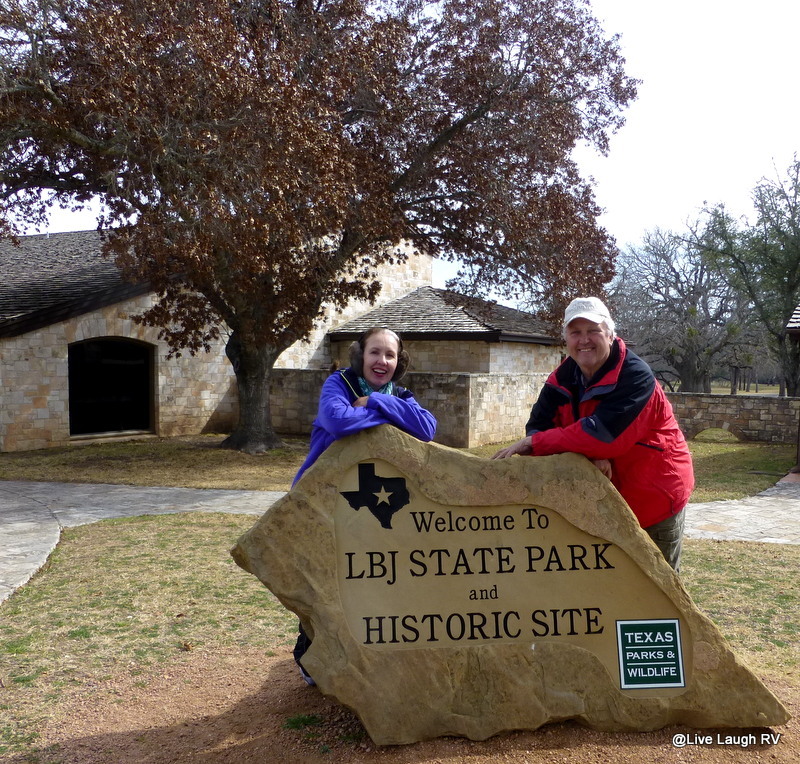 There’s lots to see and do in Fredericksburg….. more than Al and I imagined. We barely scratched the surface during our one day excursion. There’s no charge for a self-guided auto tour but stopping at the visitor center is required. We’re given a tour route map and suggestions as to the various stops along the way. The ranger recommends we start at the Sauer-Beckmann farm. 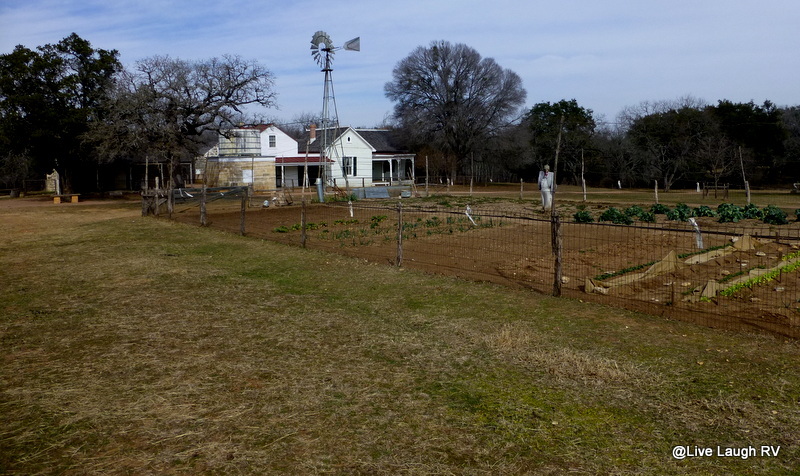 Next to the LBJ Ranch is the Sauer-Beckmann Living History Farm; our first stop. This farm serves as an example of day-to-day life as it was in 1918. The Sauer’s settled this land in 1869 and eventually had 10 children, one of whom served as midwife at the birth of President Johnson. Today the Sauer-Beckmann Farm continues on as an active farm by the help of volunteers and employees. Inside the home were 3 ladies who help work the farm. 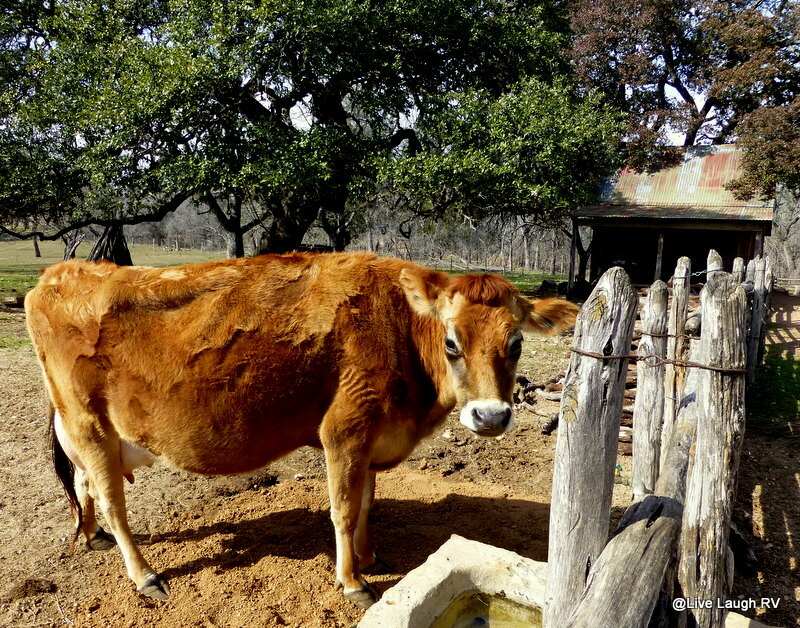 The cows need to be milked every morning, chicken’s fed, eggs retrieved, garden grown, and hogs slaughtered. Yep, one of these handsome hog’s days were numbered as he was on the schedule to provide everyone with some bacon. And we were invited by the ladies to come back for the event…. no thanks! Bye little fellow. Hope you had a good life….. The ladies are dressed in similar attire to that of the early 1900’s and are cooking stew, making cheese, and knitting. They also tend to the garden, help care for the animals, and assist in the curing of meats. FYI…. they use workampers around here and no you won’t see me volunteering. 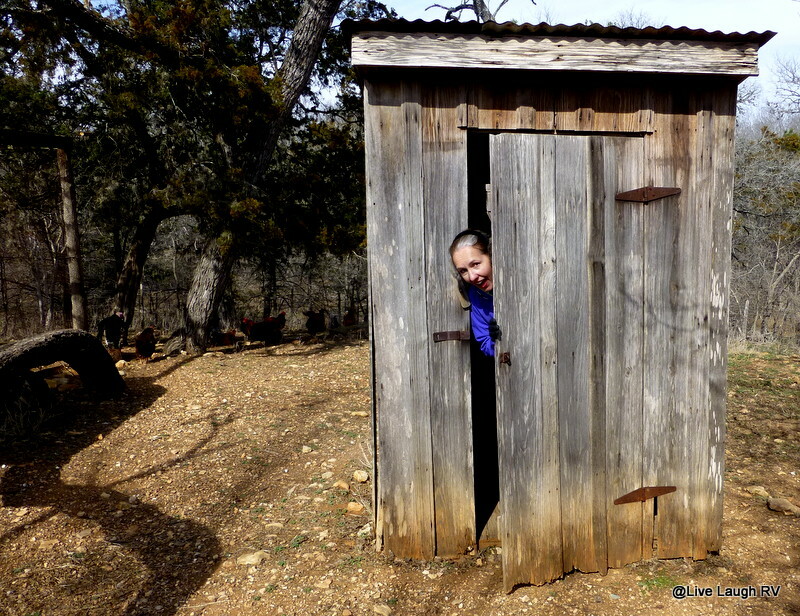 This gal likes her conveniences! 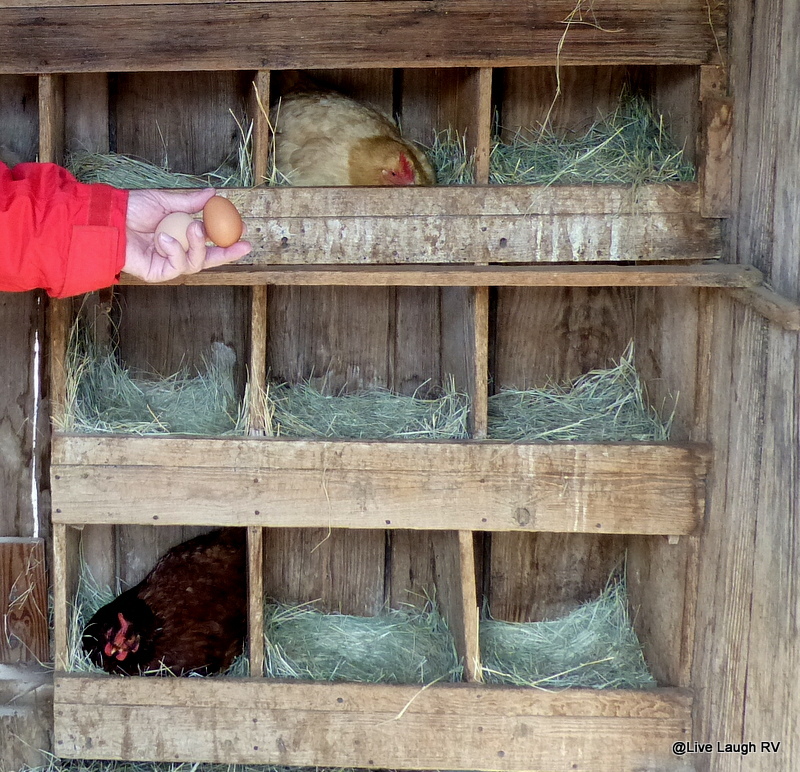 But that didn’t stop me from hanging around a couple of turkey’s or checking the chicken coop for eggs….well, Al did the checking – something he used to do when he was a little boy growing up in Illinois farm country. I was fascinated by the barn structure, but the tools inside the barn and shed grabbed Al’s attention. Do I hear a Tim Allen grunt? Al and I literally had to tear ourselves away from the Sauer-Beckmann Farm. We literally felt like we stepped back in time. We could’ve spent another hour just wandering around, but alas, we moved on to tour the Lyndon B. Johnson Ranch. The drive took a lot longer than Al and I anticipated but we thoroughly enjoyed it. The variety of animals on the ranch as well as the overall size of the ranch surprised both of us. 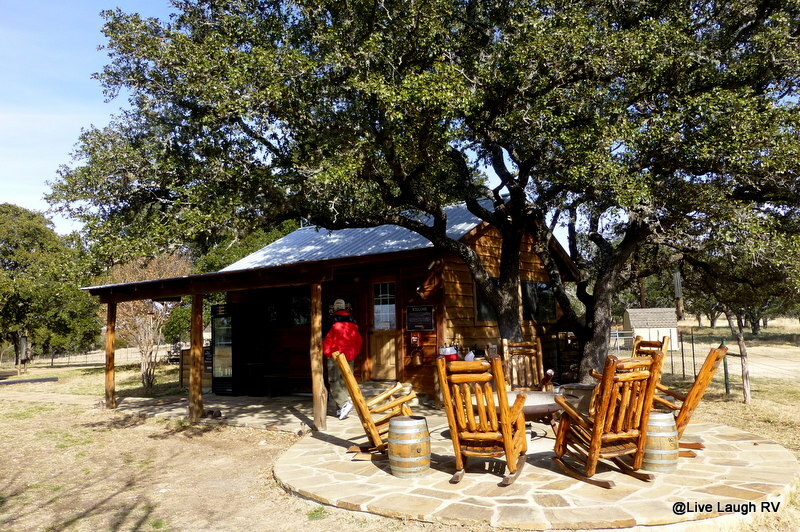 President Johnson drew strength and solace from his ranch. His desire to leave a legacy of his accomplishments and to demonstrate the cultural conservation practices associated with ranching prompted President and Mrs. Johnson to donate a portion of the LBJ Ranch to the National Park Service in 1972. 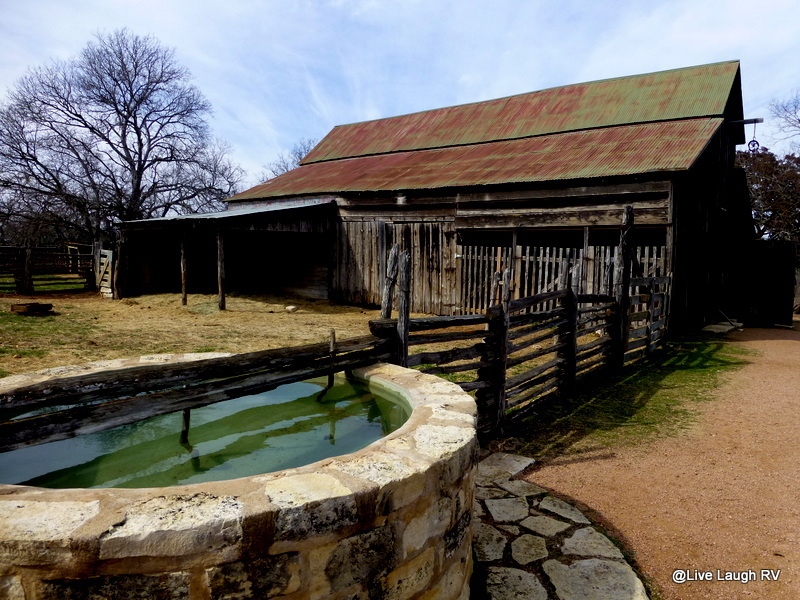 Johnson stipulated that the LBJ Ranch remain a working ranch. 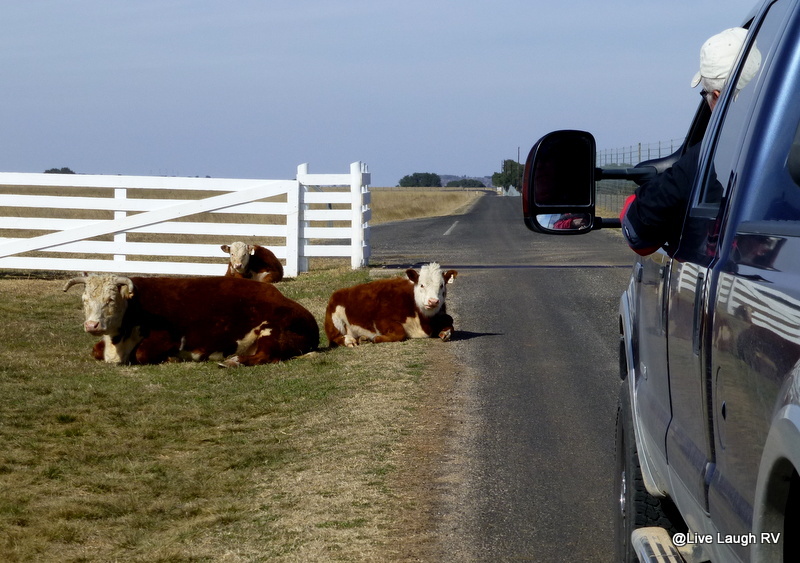 The National Park Service maintains a herd of Hereford cattle descended from the President’s registered herd and manages the ranch lands as a living demonstration of ranching the LBJ way. We would definitely recommend a visit to the LBJ State Park and Al is glad I insisted we stop. The ranch is huge with a lot of things to see. With the day getting late we weren’t able to stop at the various sites such as the school house, cemetery, or Texas White House. We know we’ll return on a future visit and plan to spend a lot more time; possibly an entire day exploring at our leisure. Our tour was rushed as we had one more stop for the day planned and we were already running late. Our last stop of the day; Garrison Brothers Distillery. Al and I aren’t bourbon drinkers, but a blog reader said it’s a must see. After checking out their website and detecting the humorous undertone, I was really looking forward to the experience. So off we headed into the back country in search of the distillery. We were hoping to catch their last tour of the day. Unfortunately, we were a tad too late for the distillery tour, but vowed to return another day. Such is life…..so much to see, so little time. Our stay in Texas has come to an end….a temporary end! UPDATE: We are currently sitting in Phoenix AZ. I unfortunately contracted that nasty flu virus and have been incredibly ill. I’m finally on the mends but it’ll take me a while to regain my strength. This thing knocked the wind out of my sails pretty darn bad. Please note, I’m keeping up with all your blog posts even though I may not be commenting. Once I’m feeling better, I’ll bring y’all up to date. We go Fredericksburg a few times a year. I enjoyed visiting LBJ park and Texas White House, the driving was pleasant. I appreciate Mrs. Johnson’s effort of preserving North America’s native plants and promoting wildflowers. Wonderful post, Ingrid! I don’t mean to impose it to you… I did a post about Mrs. Johnson if you have a moment. Yeah, my dad in Bartlett has been pretty much house bound most of the winter. Thank goodness my sister is nearby.You guys have really been getting hit hard. I never even knew this place existed and now I want to visit myself! we went a couple of years ago to Fredericksburg, and what we saw we love. but didn’t give it enough time. your post has rekindled a wish to go back. hope the AZ sun is making you feel better. Be well, Ingrid; sending ‘Speedy Recovery’ wishes! Good for you to be in Arizona for a while. Get well soon. It’s no fun to be sick. We love Fredericksburg. We’ve been there many times and every time we visit we see something different. However, I must admit that we haven’t seen some of those things in the pictures you posted. We’re heading back that way again so who knows what will be there this time. Really sounds like a great place to add to the must see list. We loved the living history farm at Land Between The Lakes, KY. Man I was no fan of that LBJ looser either, but his farm would have been kind of cool to see. FYI, I FINALLY got the Millenicom Hot Spot (today, excited to be connected again), The Yagi and Wilson Cradle really do a great job here in boosting the signal. Land Between the Lakes is someplace Al has wanted to visit. Is that a place you would recommend? We’ve been using Millenicom since last July and very happy but we still need to get a boost. Highly recommend it. Barkley / Kentucky Lake area is AWESOME. I can’t say enough about the set up. for Data all you need to get the Verizon really humming is the 75ohm Yagi antenna and a few cables & connectors. If you want to boost both Cellular and data the option is to add the Wilson Sleek Cradle. Works very well. 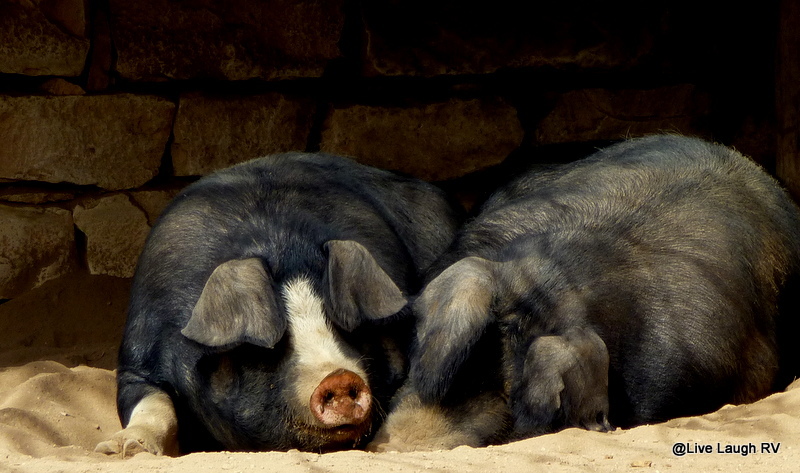 Poor, little hogs! Love your photos of the farm! I too would be naming them and trying to take them all home with me! Hope this post finds you feeling much better! Enjoy the AZ sunshine and warmth! Looks like a place to put on our list as we cross TX next year, sorry you got so sick but glad you made it to Phoenix safely. Rest and get better, hope to see you around somewhere next fall or winter. So sorry to hear you’ve been so sick. Speedy recovery, Ingrid. Take care of yourself. Give your body the time it needs to fully heal. Be well! Oh, that Flue is a viscous one. I hadn’t been sick in years and this one got me…knocked me off my fee and took nearly three weeks to finally get to a day of normal! On the bright side, a boring day will feel fantastic when you hit that day of normal. I’m with you on the working farm stuff. I like to see the workings but not too much of the “real” work please. My sister is a Mennonite and she does all that raising and butchering stuff. Me, I haven’t got the stomach for it…I’d make them all pets and would never kill them. 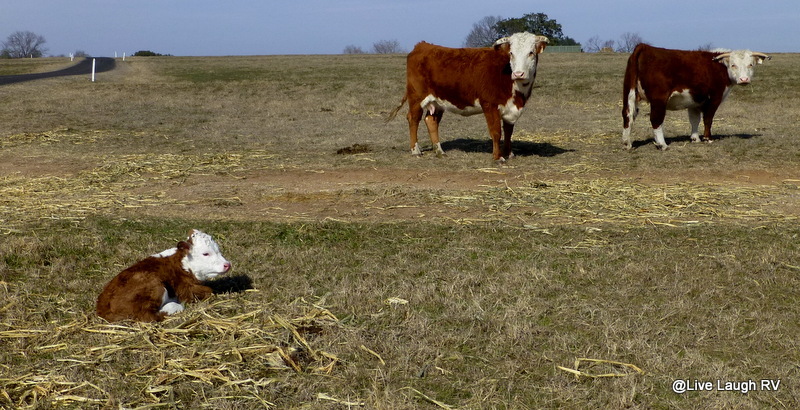 I’m with you…..I was already naming the farm animals and that was within the first hour. Sorry you suffered from this flu bug as well. You’re right, it’s a viscous one and will take a while to bounce back from. Certainly was not in my master plan of things….grrrr! So sorry that you fell ill. Bummer. Rest up. You didn’t actually think I was being indelicate or rude, did you. Won’t happen, not in this life time. Hope you are feeling better. Nah…..I was just a little slow on the ‘ham’ comment which I found quite funny once “I got it”. I’m finally starting to feel like I’m rejoining the living but it’ll take awhile before I can get out and hike again. Well golly. Did you get a flu shot this year? Nope….have never gotten a flu shot. That may change next year as I hope to never get this ill again. I hope you are back to your enthusiastic and healthy self real soon. That area is high on our list of places to visit. Thanks for sharing!! And hope you are feeling better. Thanks and be sure to plan a visit in March/early April when the wildflowers are in bloom. We really enjoyed the hill country and thanks to you I got to see some new things. I’ll look forward to next time. Hope you recover soon. I am missing your photos of those Gulf birds. Feel better soon. Fredericksburg has been on my list for awhile, Thanks for giving me a personal tour. Its still on my list, especially after seeing it through your eyes. An interesting place. Sorry to hear you’ve not been well. I hope the worst is over. Yes, I’m actually out of bed which is a good thing…..can finally hold my head up. Al was a P3 pilot during the Vietnam era so hence an eversion to anything LBJ. Hope you are back at a 100% soon. Thanks. It’s never fun being sick but even worse when I’m staring at the trails out my rear window and know I don’t have the strength to even walk to the trailhead let alone hike the trail….frustrating! Oh, Ingrid, I was so sorry to read that you had the flu. So glad that you are on the mend. This sounds like a very dangerous flu. Please rest, relax, and recover fully:) Thinking of you! Thanks Pam. I think you guys would enjoy Texas. As former Midwesterners, we felt at home in Texas. It just felt familiar some how. Oh Ingrid, I’m so sorry to hear that you’ve been so sick! Definitely take lots of time to rest and to regain your strength. The sunshine and warmth should help a lot. I’m amazed you were able to write such a wonderful and interesting post while not feeling well. 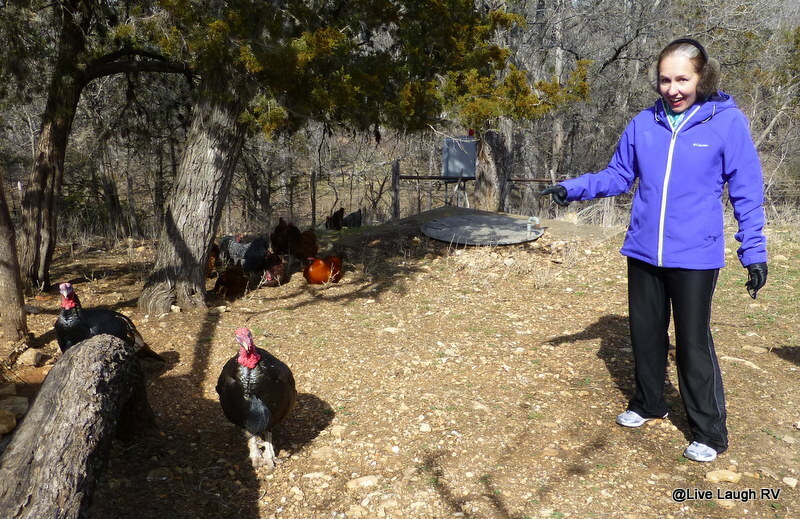 The Sauer-Beckman farm looks fabulous — we definitely will go there, thanks to you. Your photos are wonderful! Take good care. Homeopathy Oscilliium…best flu cure ever. Hope you are on the mend…some distillery carry out maybe 🙂 Hill Country looks so inviting…so much to see. Went to the LBJ Ranch as a kid and was in awe then. There are definitely many things to do in that area. Being somewhat familiar with the Hill Country, it’s interesting to read about it from some other’s perspective. Ingrid, I am SO sorry you are sick!! I know exactly how you feel! It took me probably about two weeks to be fully recovered. I was so weak. Don’t push too hard and you will be back on the road in no time! Sorry to hear that you haven’t been feeling well, hope that you feel better soon! Glad you stopped at the LBJ Ranch…Next time do the Texas White House..and the cemetery he is buried in…Sure hope you feel better soon…so far we have escaped the flu bug…and the weather here at Canyon Lake, Crane’s Mill, is warm and sunny…Startzville has a great VFW open to the public…and we so like being close to the HEB in Bulverde, and the laundry in Startzville…Ya just gotta get back!..PS…didn’t find your buried wine. Considered digging up site 17, but the big motorhome peeps would object…next time! We just loved Crane’s Mill and our lake view. That spot probably falls into our top ten list and thus I know we’ll return. Bet those MH people took your wine LOL. I tell ya, this virus is a bad one and it’ll take me a while to regain my strength. I’m just glad I didn’t end up in the hospital. I see Al is no longer shy, or haven’t you told him he’s a poster boy on your blog? And you were wearing earmuffs? I was going to say I’ll bet you’re glad you’re in sunny AZ but not if that’s where you picked up that nasty bug. I hope you get your strength back soon. Waiting to hear from you! Looks like a great place to visit, it’s on our list! I hope you get better soon. Try not to push yourself too fast, too soon…you’re retired! Oh my you got the bug! It sounds nasty and hope you are now feeling much much better. Thanks for the farm tour, I am sure we will be there. Nancy that we met at Cave Creek last year did recommend Fredericksburg and glad that you made it and took great pictures for us. Take it easy now and take more rest than usual. What a FUN Place to Explore – loving your captures!!! Sorry to hear you caught the nasty, yucky bug – lots of rest and fluids:( Happy Weekend! Thanks Renee…..Yep plenty of rest and fluids along with some warm AZ sunshine should have me recovering soon. Oh dear…you two must get back to that area. There is so very much to see and do. The Texas White House is wonderful. It is such a throw back. I thoroughly enjoyed seeing many items that my mom and dad had in their house. The kitchen is a hoot. I caught that bug yesterday. Glad mine was just a 24 hour thing. I hope you feel much better tomorrow and get your strength back very soon. Our friends had the bug in Rockport and we thought we averted catching it. I guess it just took a few weeks to manifest in me. I just hope Al doesn’t get it. You are so right…..there is soooo much to see in the area I know we’ll go back…..we HAVE to especially when the flowers are in bloom. Glad you didn’t catch this flu strain….nasty! Much larger than we anticipated. Al’s glad he went even though I really had to insist. I think it’s obvious why you guys wouldn’t be fans. Our favorite part though was the Sauer-Beckman Farm. I enjoyed the farm tour a lot, Ingrid. I’m sorry to hear you got so sick, hope you’re doing better.